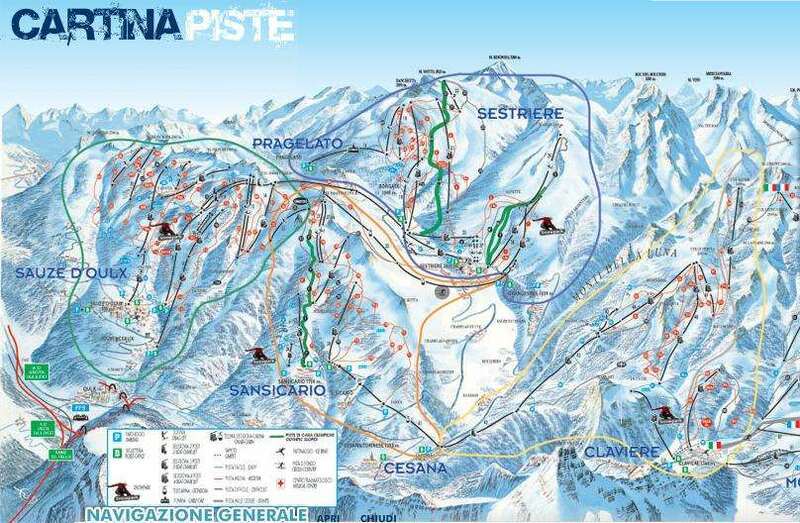 Sansicario is part of the Milky Way (or Via Lattea) resorts which link the old French border town of Montgenèvre with Italian ski areas including Clavière, Cesana, Sestriere and Sauze d'Oulx. Between them, they have 145 runs totalling 400km (250 miles), served by 92 lifts, plus an extensive snow-making system of 950 cannons. The resort has something of a split personality – a traditional village linked with a purpose-built complex. The resort is ideally located to explore the Milky Way resorts in either direction. Its neighbour, Cesana Torinese, is a quaint old village, dating back to the 12th century. Sansicario was home to a number of events at the 2006 Winter Olympics, including the women's downhill. An excellent resort with the emptiest runs I have ever known in thirty years of skiing. It is well connected to the Milky Way - when there is sufficient snow - and all that lies beyond; but there is very little night life in the resort and it is not well connected to other resorts by road.